The most innovative storytelling platform offers Sunday Workshops for budding storytellers to unleash your creativity. Katha’koli (Word -Bud), storytelling workshop equips you to participate in the art of storytelling using varied mediums and languages including performance, video art & music. This workshop which is of 5 days will be held twice a year in May & December. Hollywood is the most influential storyteller in the world today. Thereafter we are usurped by the magical stories of Indian Cinema. Therefore, we can claim that Storytelling is still a surviving traditional art. We have been successful in preserving and sustaining a part of intangible heritage and a specific trend of socio-cultural traditions pertaining to humanity across the globe- the art of storytelling. Moreover, it is impossible to survive without stories. It is an irresistible psycho-somatic urge transmitted to our body and mind through genes from our ancestors. We are consistently building stories and dissolving them in our existential matrix. News, corporate talks, gossips, lessons, messages and chats are but stories in various forms satisfying our daily art of living. Plays, cinema, dance, music and such other forms of art are dynamic versions of storytelling. We propose to go back to the basics. Learn the art of storytelling irrespective of your professions and passions. Storytelling enables experiences to be made meaningful and is thus an important part of our miraculous being. Telling stories assists individuals to engage in sense-making about their experiences, to order events in a coherent fashion, relate events to other events and attribute causality. In short, storytelling is a key way in which memories are organized and articulated. Furthermore, as a ubiquitous, everyday practice, storytelling has other functions, especially in relation to religion, customs, faith, belief and identity: it creates and sustains communities and reproduces culture. It is essential. “Katha’ koli”, presents a series of new age interdisciplinary storytelling workshops, to be conducted by Janardan Ghosh & other prominent artists. These weekend workshops, which is a part of a course on Storytelling, will include sessions in storytelling, writing, movement, musicality, performance art, video art, sound art & art installation. The workshops are open to all. Certificates will be given out on completion of the workshop and assignments. 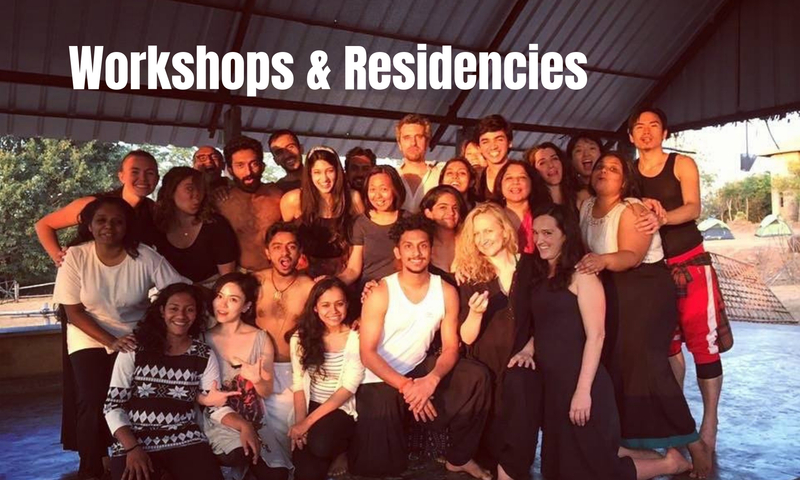 The course will cover the basics of storytelling and skills for telling traditional tales, creating spontaneous stories and an introduction to Katha-koli form of stories. d. The art of telling – Voice and Movement; Sound and Images. Sounds good. Would like to enroll. 31 June ? may you correct the typo error please. I being a parent would like to exchange my / our story telling experience with our kids. I feel its a “essential skill” for parents particularly in nuclear family. Thank you. The error is corrected now.